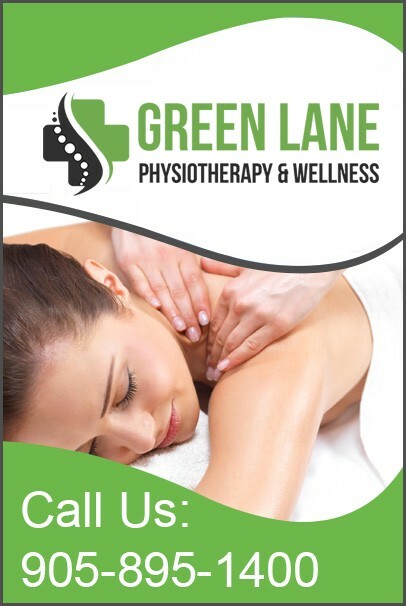 At Green Lane Physiotherapy & Wellness, our team of physiotherapists is dedicated to your therapy with a focus on getting you better as soon as possible. We employ a variety of rehabilitation techniques to create a custom care plan. Massage therapy is a 4000 year old practice. Our registered massage therapists use traditional and contemporary methods to reduce pain, soothe the mind, relax the body, and ease muscle tension. Our massage therapists take courses and seminars regularly to ensure you are getting the proper care to speed up your recovery process. Professional massage therapy sessions help if you suffer from chronic pain. A 30 minutes massage session can reduce your muscle stress and feel you more comfort from body pain, which you have been suffering for a long time. By employing a variety of strokes/pressures, in addition to massage oils, Massage Therapy relieves stress and reduces chronic pain, and increases blood circulation. It also benefits the entire nervous system. This treatment can help you recover from a car accident, ease chronic pain, or provide relief during pregnancy. Our team of qualified Registered Massage Therapists undergo constant re-education and update their skills regularly. We eagerly seek additional accreditations to be able to provide our patients the care and treatment they need. Our patients benefit from therapeutic massage, deep tissue massage, myofascial release, lymphatic drainage, trigger point techniques, and more. Throughout your treatment, your Massage Therapist will keep you in loop and inform you about the treatment as well as take consent for each procedure.